Ellaquai Dehati Bank Recruitment 2015 :- Ellaquai Dehati Bank has issued a notification for the recruitment of 130 Officer & Office Asst. Interested candidates can apply on or before 24.04.2015. 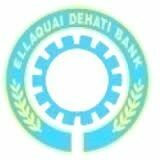 Applicants who wish to apply for Ellaquai Dehati Bank Recruitment 2015 can log on to the official website of Ellaquai Dehati Bank at www.edb.org.in. Ellaquai Dehati Bank, has inviting application form the eligible candidates to fill up the vacancies of Officer & Office Asst Posts. Applicants who are willing to apply can note down mentioned details carefully. Name of the Organization :- Ellaquai Dehati Bank. Total Number Post :- 130 Posts. Name of the Post :- Officer & Office Asst Posts. Education Qualification :- Candidates should possess Degree in Electronics, Communication, Computer Science, Information Technology or its equivalent with a minimum of 50% marks in aggregate for Officer Scale-II, Degree in any discipline from a recognized University or its equivalent for Officer Scale-I, Office Assistant. Age Limit :- Candidates upper age limit must be 40 years as on 01.06.2014. Age relaxation will be applicable per government rules and regulation. Selection Process :- Candidates will be selected on the basis of performance in RRBs-Online CWE-III conducted by IBPS in September/ October 2014 and Personal Interview. Eligible candidates can log on to the website at www.edb.org and then from here download notice either from the website or from the given below links. Applicants who are willing to apply should send their application in the online mode before the last date. Candidates must check out the below given important links carefully to check out the direct process of downloading the official notice.hen form here download the official notice. Starting date for Submission of Application :- 10.04.2015. Last date for Submission of Application :- 24.04.2015. Ellaquai Dehati Bank Recruitment 2015 for the post of Officer & Office Asst on 130 posts. Last date to send online application is 24.04.2015.